"Deadliest Warrior: The Game allows you to choose from history's greatest warriors, equip them with signature weapons and go head to head against the greatest fighters that ever lived. 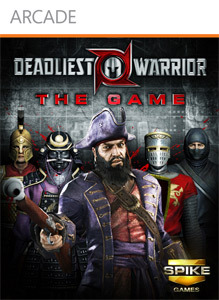 Featuring 5 play modes, customizable warriors and true to life action with interactive environments, Deadliest Warrior is a unique fighting game that is easy to play and hard to master. Severe limbs, decapitate heads and taunt your enemy's lifeless corpse as you build up ranking points with each victory and compete on a global scale to determine who truly is the Deadliest Warrior." "For uncounted years the wanderer DeathSpank has been a Dispenser of Justice, a Vanquisher of Evil, and a Hero to the Downtrodden. 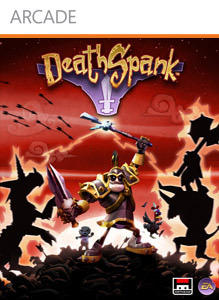 Throughout his adventures DeathSpank has searched for a powerful artifact called ... The Artifact. Forged by unknown hands for unknown purposes some unknown time in the past, The Artifact is now within DeathSpank’s reach, but what is The Artifact and what evil tyrant seeks to steal it?"